Joshua Parkhurst has dedicated his legal career to advancing the interests of working people. He has practiced law for 18 years, and for 17 years has specialized in representing employees and labor unions. Joshua has represented clients in a wide range of judicial and administrative forums, including federal court, state court, private arbitration and administrative law tribunals. His work with employees includes representing individuals in litigation or other dispute resolution involving termination of employment, unlawful discrimination and harassment and wage and hour violations. In addition, Joshua advises employees in non-litigation matters, such as working with current employees as to how to avoid potential terminations, and advising clients in contract or severance negotiations. Joshua has also worked with labor unions in all aspects of representation, including organizing drives, grievance representation, contract negotiation and duty of fair representation matters. Joshua also represents employee benefits funds in litigation and compliance related matters. Prior to founding the Law Offices of Joshua Parkhurst, Joshua had extensive experience at some of New York City’s most prestigious labor and employment law firms. 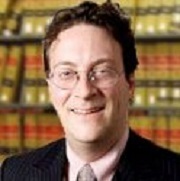 From 1998-2006 he worked as an associate at the law firm of Broach & Stulberg, LLP. From 2006-2013 he worked at Cary Kane LLP where he helped build the firm’s individual employment practice from scratch. Joshua is a member of the National Employment Lawyers Association, and is the chair of the Labor Practice Group. He is also a member of the New York County Lawyers Association’s Labor Relations and Employment Law committee. Joshua also believes in giving back to the community outside of work. Joshua served for ten years on the Board of Directors of the Jersey City Landmarks Conservancy, a non-profit historic preservation organization. This included three and a half years as the organization’s President. Joshua is married with two children. Joshua Parkhurst’s legal profile can be found at the following sites. Joshua Parkhurst is listed in the following professional directories.